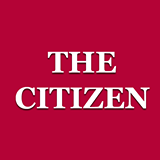 The Citizen is India's first independent online daily. Has The Farmers March to Delhi Driven the BJP to Ayodhya? CBI: An Overnight Operation Gone Sour? AADHAR: What Constitutes “Harm” For TRAI Chairperson, Do Starvation Deaths Of Those Denied Food Count? Gauri Lankesh, Najeeb Ahmed, Kalburgi, Pansare…….